Exploring other countries and cultures first-hand is an amazing opportunity for students. BASIS Independent Brooklyn has hosted Middle and High School trips to Europe for two years in a row now. Last year we added a grade 5 tour of Costa Rica, which really allowed our physical geography students the chance see their lessons come to life before their eyes. Based on extremely positive feedback from families and faculty, we are expanding tours offered to a wider range of students in spring 2018. 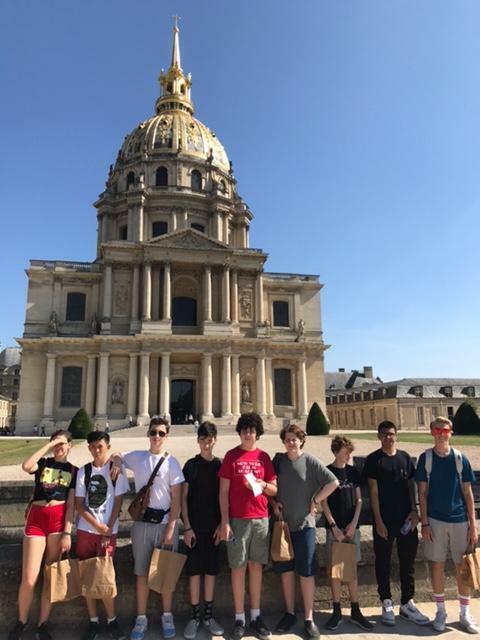 "These guided educational tours led by our faculty have been a highlight of the school year for many of our students," said Rachel Soszynski, Director of Auxiliary Programming. "We value the engaging, participatory learning experience that is very much in line with our BASIS Independent approach. Having a tour guide dealing with the logistics allows our faculty on the trip to focus on reacting to student questions directly and expanding the discussion." This coming spring we are expanding the number of educational school trips. Barcelona & Madrid (Gr. 7+) - Ms. Taggert and Ms. Cushman will accompany students across two cities that share a great deal of history and their own unique cultures. Explore Gaudi's architecture, venture through the legendary Prado, and enjoy culturally-rich traditions like flamenco lessons. Iceland: Glaciers & Geysers (Gr. 5-6) - Ms. D'Orazio and Ms. Thorne will accompany students to see the geothermic wonders of Iceland—Blue Lagoon hot springs, volcanic creators, and subarctic fauna. Starting in Reykjavik, the tour will travel the Golden Circle and see Gullfoss waterfall and the Geysir geothermal area, where students will learn how to learn first hand about geyser cooking. France (Gr. 8+) - Mr. Mandeville will tour Paris with students - from the stained glass of Notre Dame to the Louve. Down South venture to Biarritz that has grown from a fishing village to a lovely seaside resort. The tour will take students to Provence and along the Riveria. 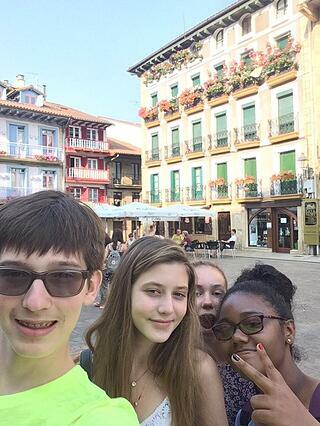 Last school year Mr. Mandeville led up the European trip. - Exploring the architecture, art, and culture of Paris together with friends and one of our most popular faculty members. - Running down the Grand Dune Du Pilat, the largest sand dune in Europe, simulated the sensations of flying. - Discovering not just Paris but the wonders of Bourdeaux. - Getting to know the physics behind the Sagrada de Familia with Mr. Winter and soaking up the Barcelona vibrancy on Las Ramblas. Next Tuesday, Sept. 26, we will have an information session at 5:30 PM on all upcoming trips. Hear from faculty planning the agenda and touring with the students. RSVP via our parent portal or email Rachel.soszynski@basisindependent.com with any questions.